They won’t catch up with the coasts. But microbreweries catch on here. Just eight years ago there were none in Springfield. 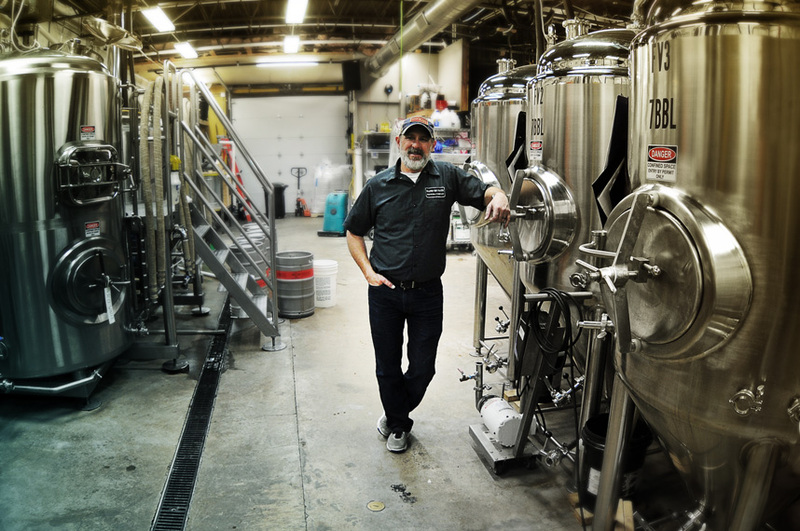 Now there are five operating microbreweries in the capital city area with a sixth soon to open, and don’t be surprised if you see more in the coming years. Craft beers are hot right now, and the establishments that make and serve those homemade hopped beverages are the places to be. Local microbreweries are part of a national trend that saw a 16 percent increase in the number of operating breweries last year, with craft breweries now accounting for 12.7 percent of the overall market share for beer sales, according to the Brewers Association. Beer Association figures for 2017 show that craft brewers produced 25.4 million barrels, a five percent increase over 2016, and had an eight percent rise in retail sales volume to $26 billion. Microbreweries and brewpubs delivered 76 percent of the craft brewer growth, which occurred in the context of a total beer market which dropped one percent by volume in 2017. The number of operating breweries in the U.S. grew 16 percent, totaling 6,372 breweries, which includes 3,812 microbreweries, 2,252 brewpubs, 202 regional craft breweries and 106 large or otherwise non-craft brewers. The Beer Association said there were 997 new brewery openings in 2017. Two Springfield microbreweries are going to make the list of openings in 2018. 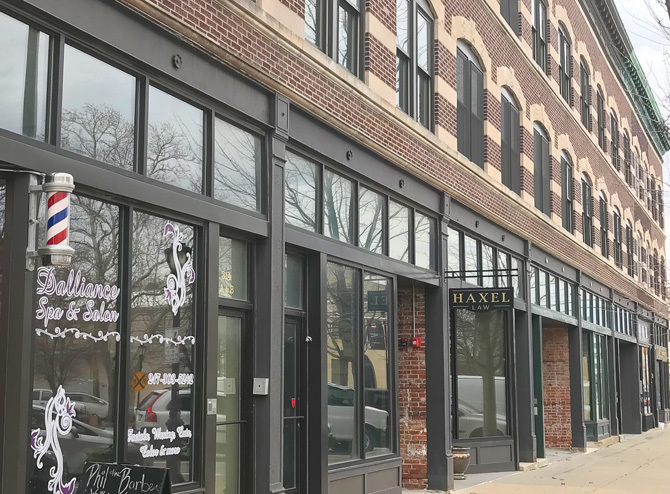 One of them is Buzz Bomb Brewing Co., which opened in March at 406 E. Adams, and the other is Anvil & Forge Brewing and Distilling Co. at 619 E. Washington, scheduled to open in early summer. They join six-year veteran Obed & Isaac’s Microbrewery and Eatery on South Sixth Street downtown; Engrained Brewery and Restaurant near the MacArthur-Interstate 72 interchange; Hand of Fate Brewing Co. in Petersburg; and Rolling Meadows Farm Brewery in rural Cantrall, the old man of the bunch at seven years old. The Springfield area microbreweries have several common themes: Their owners started as homebrewers and parlayed their passion into a business; they did advance research to determine the public demand for their operation; and most of them would welcome even more microbreweries in the community. Anvil & Forge Brewing and Distilling Co.
Left to right, brothers Adam, John and Mike Zerkle in the brewing room of the soon-to-open Anvil & Forge Brewing and Distilling Co.
Mike and his brothers, John and Adam Zerkle, plan to open the doors of their microbrewery operation in early summer and have the whiskey distilling portion ready a few months after that. The siblings actually planned the distillery first, then decided that adding a microbrewery made a lot of sense. That business plan included using locally and regionally sourced building supplies and equipment wherever possible, making sure customers have a clear view of the entire production process and having a way to effectively bring new beverages to the market. Although they aren’t yet open, Anvil & Forge already has a sense of their demographic. The Zerkles started in homebrewing, John worked for a time at Obed & Isaac’s, and then the three of them decided to give their own business a try. They already have their sights set on expansion. Bill Larson and Josh Flanders of Buzz Bomb Brewing Company. Larson and co-owner Josh Flanders developed a 65-page business plan for their microbrewery with help from the Lincoln Land Community College Small Business Development Center. The plan provided them with valuable information and convinced them that the market was ripe for another establishment in the downtown area. Buzz Bomb has a “pilot batch” system, a series of perpetually brewing recipes in smaller vessels that allows them to anticipate trends and try new concoctions, and then get larger batches in production much more quickly. The owners built all of the eclectic furnishings, including a table with designs burned into the wood using electric current. Distribution is the next step in the business’ state of perpetual motion. 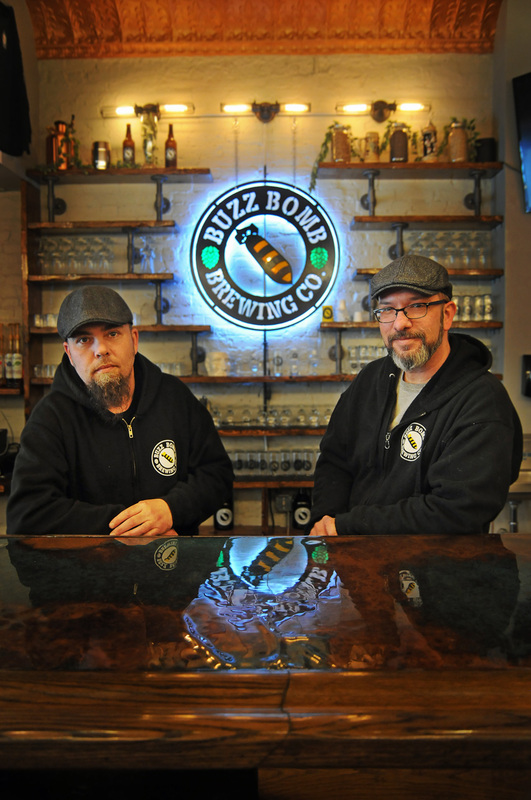 Buzz Bomb has come a long way from two friends who gathered to home brew every weekend. Obed and Isaac’s Microbrewery and Eatery operations manager Casey Conn in the tap room. Obed & Isaac’s was the first Springfield area brewpub and proved these type of establishments could be as popular as anywhere else in the country. But Conn said it wasn’t a sure thing when they opened in 2012. Conn said their two brewers keep Obed & Isaac’s flagship beers in good supply, but they have the freedom to experiment with new recipes which are offered in small batches every Friday to gauge customer reactions. The brewpub attracts visitors of all ages and sees a lot of traffic from the nearby Lincoln Home and people traveling Route 66, he said. Obed & Isaac’s has come a long way from the homebrewing Conn, his brother and father did before deciding to take beer production to the next level. Conn hopes the newer microbreweries will have the same success. Rolling Meadows Farm Brewery distribution samples at the brewing facility near Cantrall. 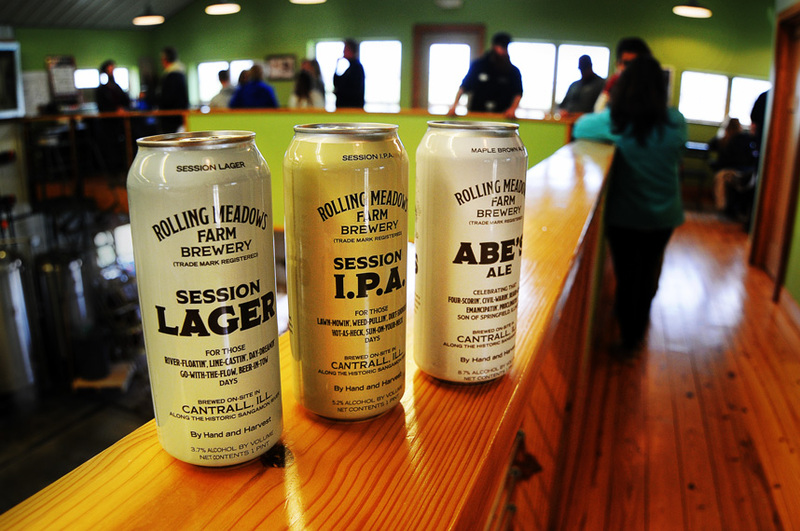 That was the idea when Rolling Meadows was founded in 2011 in rural Cantrall, using local ingredients to produce unique beers and to get those beverages on area stores’ shelves. They aren’t a brewpub and are open only by appointment, but their beer can be purchased at several area grocery and liquor stores and is on draft at Findley’s Tap House in Springfield. Rolling Meadows started the same way many other microbreweries begin, with friends who liked to make their own beer. “If it weren’t beer we were making for the local community, it would be something else using farm-fresh ingredients,” Regan said. 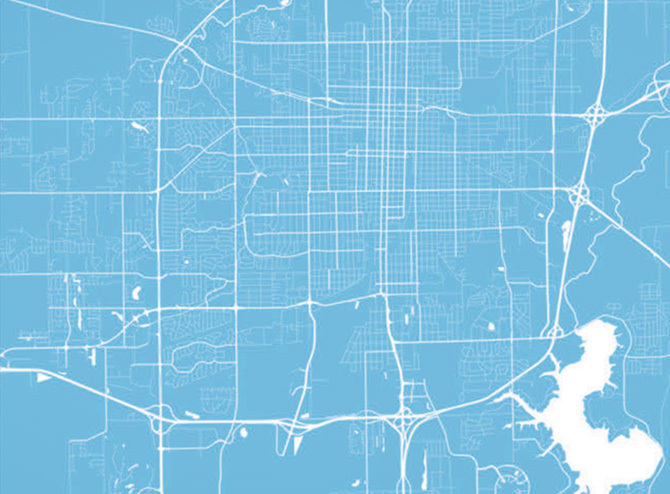 Rolling Meadows’ goal is the same as that of the other area microbreweries. “Getting people to branch out of that name brand box they are in, and to try a craft beer, and to love it,” Regan said. Hand of Fate Brewing Company owner Mike Allison in his brewing room in downtown Petersburg. The Petersburg microbrewery is the official Illinois Bicentennial Beer producer, and Hand of Fate hopes their 1818 Prairie State Farmhouse Ale will get more people to visit microbreweries and try their offerings. 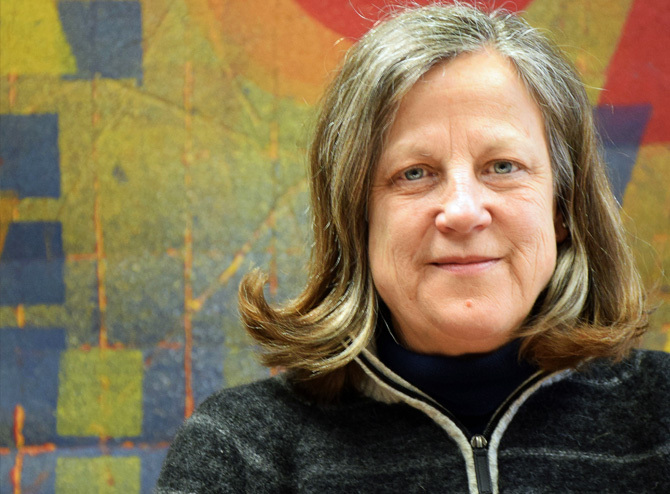 Allison founded Hand of Fate in 2016 as the longtime homebrewer and former funeral director realized that central Illinois was just starting to open up to craft beers. 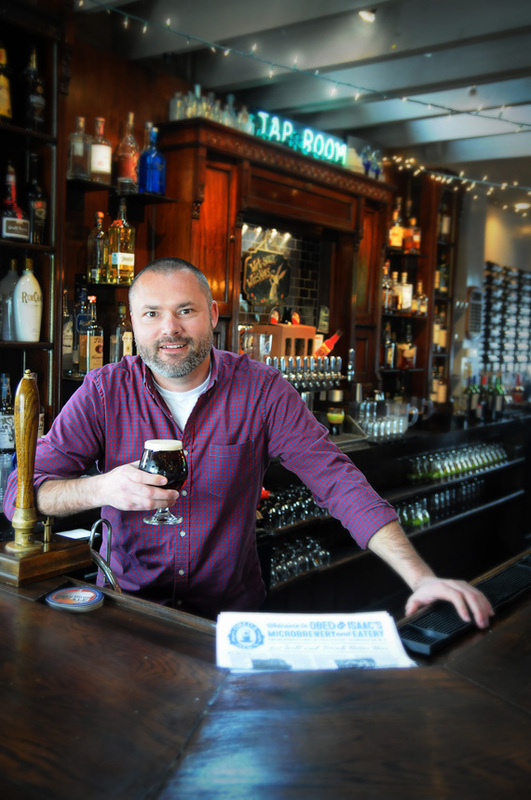 Allison is glad that the area has more microbreweries than when he started, but he doesn’t think the sky is the limit. Hand of Fate is a brewery, not a brewpub, and as such can only serve what they produce on site, Allison said. He supports state legislation introduced as House Bill 4897 that would expand what microbreweries could serve. “This bill would allow us to have ‘guest taps’ to allow us to spotlight some of our other colleagues’ beers in here also,” Allison said. Some of the craft beer offerings at Engrained Brewery & Restaurant. Engrained opened in 2013 and for a while the south side establishment and downtown’s Obed & Isaac’s were the only brewpub games in town. Schwoerer was a mechanical engineer for Caterpillar and decided to abandon the corporate world and pursue his passion, which began with homebrewing. He grew up on a farm and emphasized the farm to table nature of many of his brewing and restaurant dish ingredients. 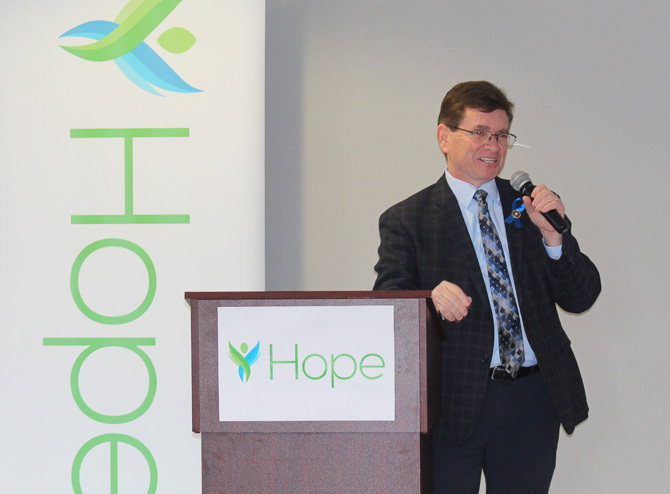 Schwoerer realizes his location just south of Scheel’s puts him on “a bit of an island” now, but he anticipates future growth will put more businesses in the area. He gets his inspiration for trying new beer recipes from trips to the grocery store, industry trends and customer suggestions. 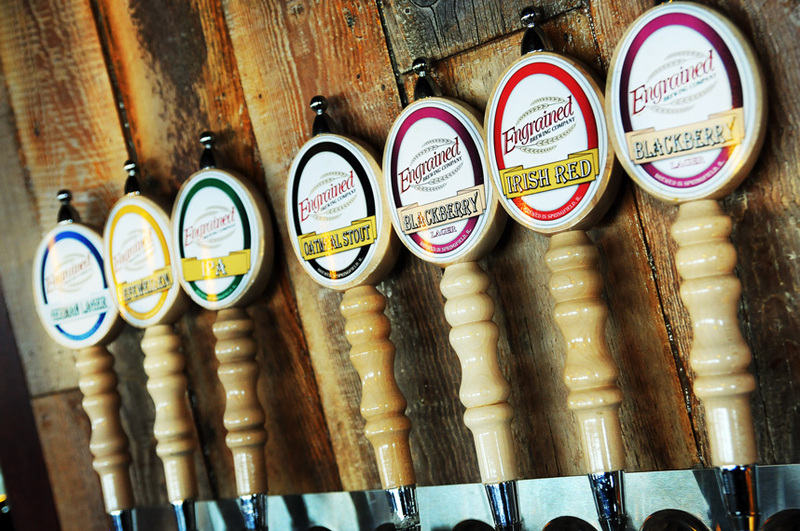 A recent trip to Kentucky will result in some new beer offerings at Engrained. Ingredients of the craft – hops, barley, and malt – with the delicious finished product. There are an estimated 1.1 million homebrewers in the United States, 26 percent of whom are in the Midwest, according to the American Homebrewers Association. These homebrewers produced 1.4 million barrels of beer in 2017, or approximately one percent of total U.S. production. 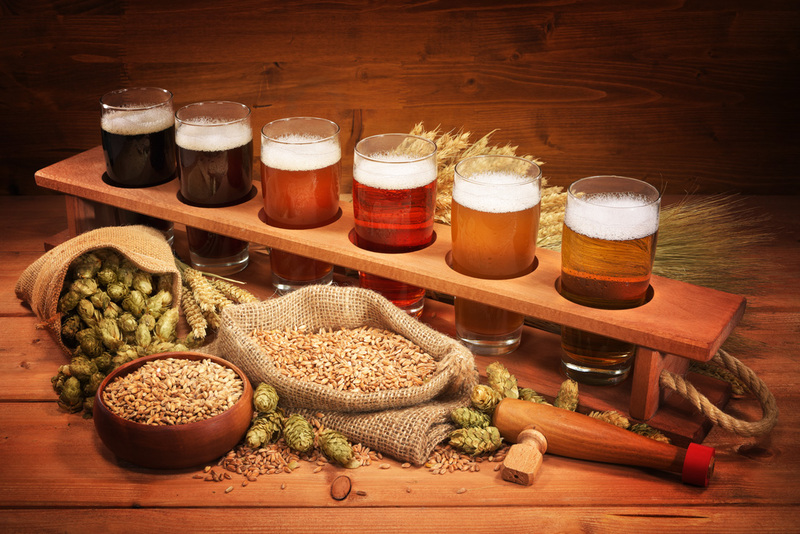 Forty percent started homebrewing in the last four years, according to the association. “Craft beer is in. 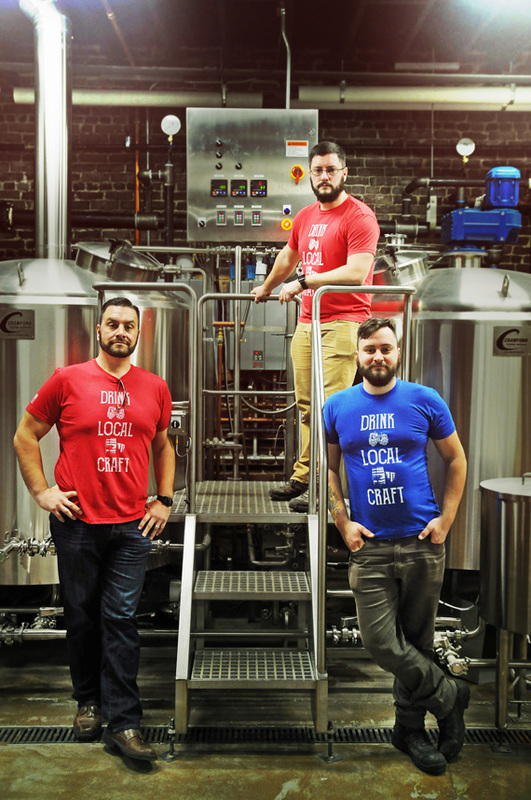 I started homebrewing about 10 years ago in my kitchen,” said Jeremy Barrow, owner of Capital City Brewing Supply in Springfield, which opened in the fall of 2017. Barrow said area microbreweries purchase supplies from him and he buys things from them. He doesn’t think the craft brewing marketplace is saturated and believes that the craft beer industry is a supportive community. Barrow feels most homebrewers are also microbrewery customers. Friar Tuck Beverage in Springfield also sells homebrewing ingredients and equipment for novice to intermediate brewers. The owners of several area microbreweries are familiar faces to Maskey, and he now carries some of their craft beers in his store.